Wearable Fashion Meets Street Fashion @ Parkamaya. Finally a fashion related event to write about, been itching to write more about fashion related stuff rather than just beauty, gotta expand my horizon yo! Have to thank Parkayama and a certain hot mama for having me here especially to see the grand maestro himself, Kazuiko Takakura-san who came down all the way from Japan to perform his artwork live here in Malaysia. Kazuhiko Takakura-san is a Japanese born designer, who is known for creating unique masterpieces (you can’t find duplicates!) incoperating his country’s heritage into street fashion that can be appreciated by people of all ages especially trendy younger generations as takakura-san’s pieces are considered like a wardrobe staple ( Unisex-Tshirts/ shoes/ Bermudas/ shirts & even coats). 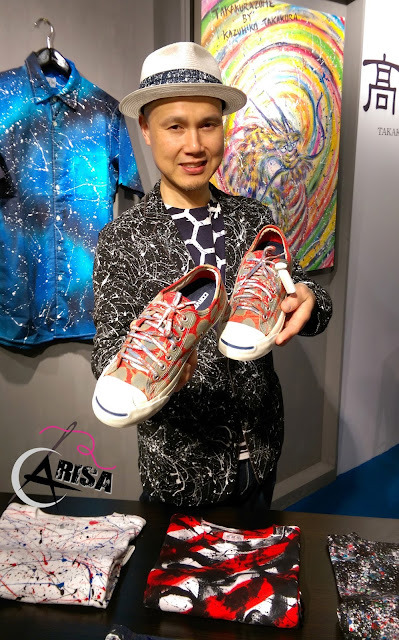 How Takakura-san infused both paint artwork into fashion was totally mind blowing, to others it might just seem paint splattering all over tie-dyed clothings but it takes one who appreciate arts to actually interpreted Takakura-san artwork. Splattering & flicking paint unto clothes takes skills and techniques to produce an artwork like Takakura-san’s. Trust me, I’ve been into tie-dye myself since I’ve excelled in my batik exams during SPM, everyone chose design a logo while I chose Batik lol. And learning how to do it on my own wasn’t easy, tie dye tutorials online is easy to find these days but not why don’t you try making it ;-) You will soon think otherwise, hence that’s why I am really intrigue on how Takakura-san managed to master such a delicate art technique. In fact his work consists of techniques such as stamping and shibuki (splashing) that infuses with Kendo art which wrist movement techniques is crucial in Kendo, because あなた also practiced Kendo once, but now he is focusing more to iaido. Takakura-san’s label Takakurazome Kyoto is no stranger to the fashion industry both in Japan and international as it’s been featured/ collaborated with brands like Issey Miyake (my favourite bag designer & fragrance), Comme des Garscon and Nike “SSW”. So, Takakurazome Kyoto is no small brand out there, it is in fact a luxury textile brand that has been around since 1897, but art isn’t about the money to Takakura-san, what makes him satisfied is people willing to buy his products at the end of the day, I personally understand that satisfaction feeling as a a fellow designer. And thanks to Parkamaya, who doesn’t need much introduction as we all know this biggest Asian Retail Concept store in Fahrenheit88, KL who brings in all kinds of unique brands has brought Takakurazome Kyoto unto their roof for 2015. So now we can shop for Takakura-san unique one of a kind collection in KL at affordable prices (no need to ship it in from Japan ourselves, yay!). Aside from his new launched collection, Takakurazome Kyoto also launched a limited edition printed T-Shirt which pricing starting from RM59.00 each. But currently there is also an ongoing promotion whereby you purchase 2 shirts for only RM99. See? It’s a win-win situation for all 3 parties. Parkamaya opens from 10am-10pm daily. Deadline to submit has been extended to 14th June 2015! 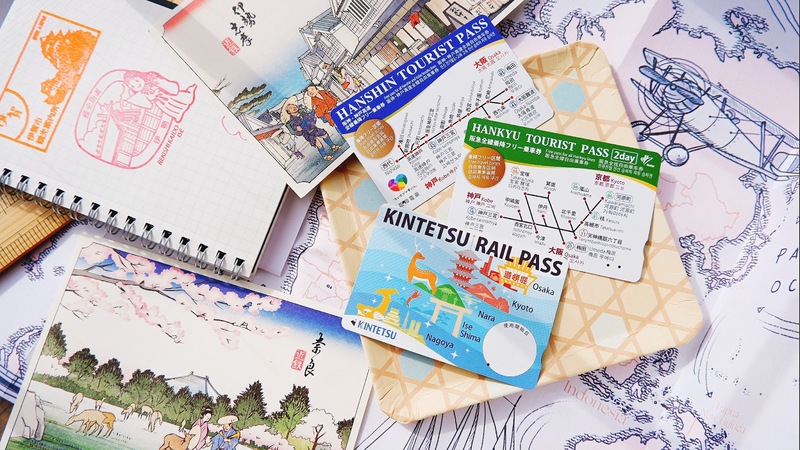 For aspiring designers, stand a chance to get your artwork featured in Takakurazome Kyoto’s next collection of T-shirts (you are going international yo!) in their T-shirt Design Competition. 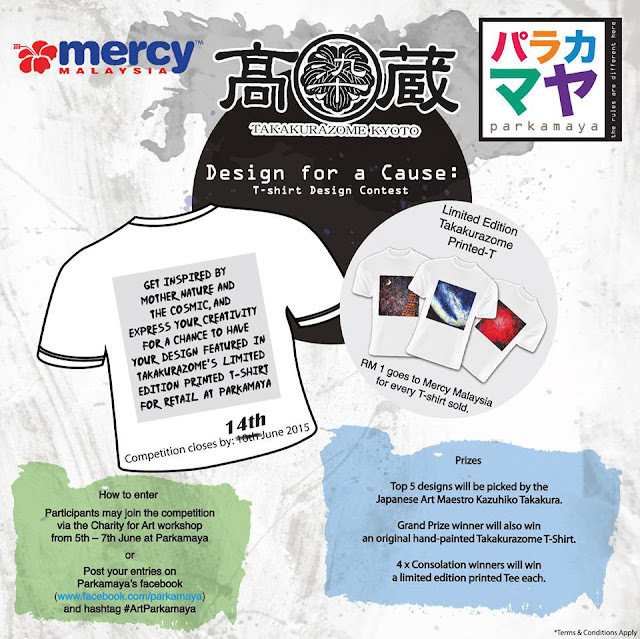 Grand prize winner will get to bring home an original Takakurazome Kyoto hand painted apparel and there will be x4 consolation winners that will bring home a limited edition printed T-shirt. and remember to hashtag them #ArtParkamaya in you post publicly on Facebook.